Getting selected for the interview is half of the job won. Now is the time when you can personally represent your skills rather than a resume doing it on your behalf. 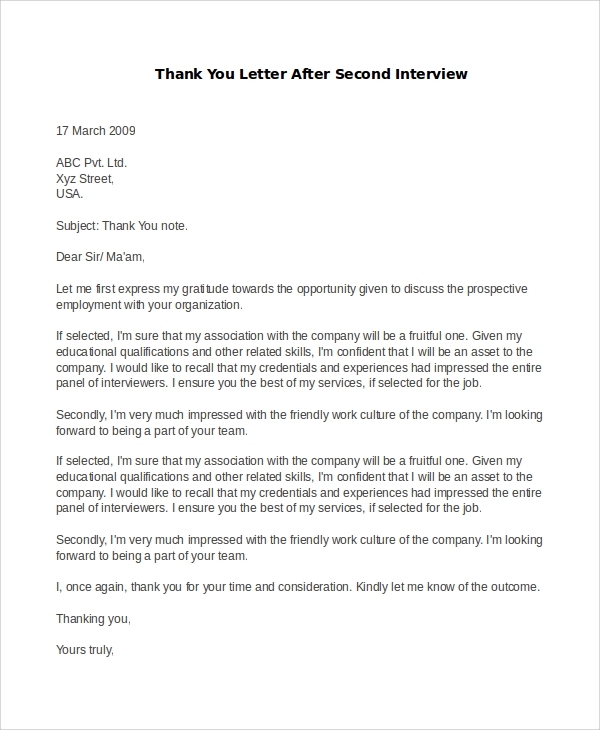 Regardless of how good a position you are in to be finally selected for the post, a small thank you note/letter for your selection can further ‘seal the deal.’ It’s not just about showing gratitude towards the selectors for considering your candidature, but a Thank You Letter can also become a further tool in showing how you can be of value. Here are some samples that show the things that you should be including (and not including) in a thank you letter for interview. Getting selected for the interview or making it to the final round is not the end of the war. 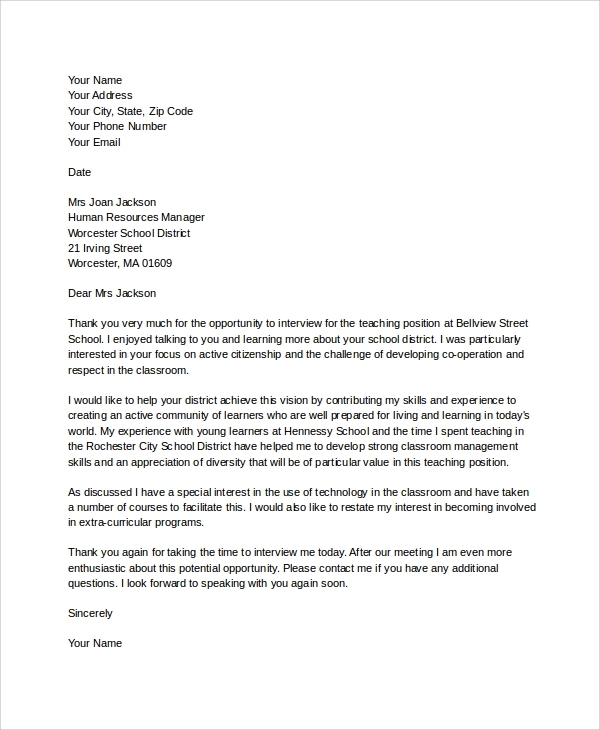 This can be a good time when you can use a thank you letter to bring your candidature to the attention of the employer. It’s a reminder of how committed you are for the position and that you will be a valuable employee if selected. Check out the sample here. Completed the interview round and waiting for the final selection? Well, you can push your candidature further by sending a letter of gratitude. While the letter shouldn’t sound too ‘pushy,’ it should highlight how your selection can be of value to the company. Write how much the job will mean to you and the efforts that you will put in. 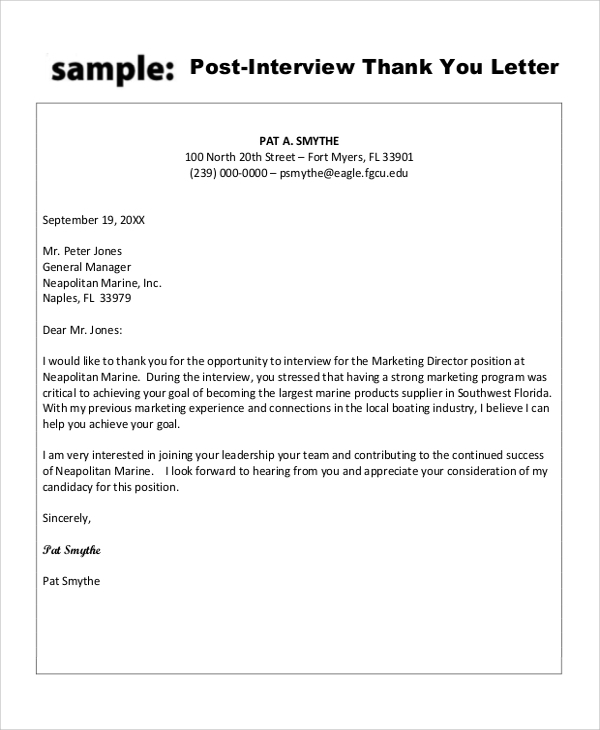 Here’s a sample of how to come up with a professional looking Thank You Letter after the interview round. The letter is mostly personal, suggesting your gratitude for being interviewed and considered for the position. The purpose of the letter is to bring your candidature into the limelight against other candidates. Who needs to come up with a Thank You Letter After Interview? 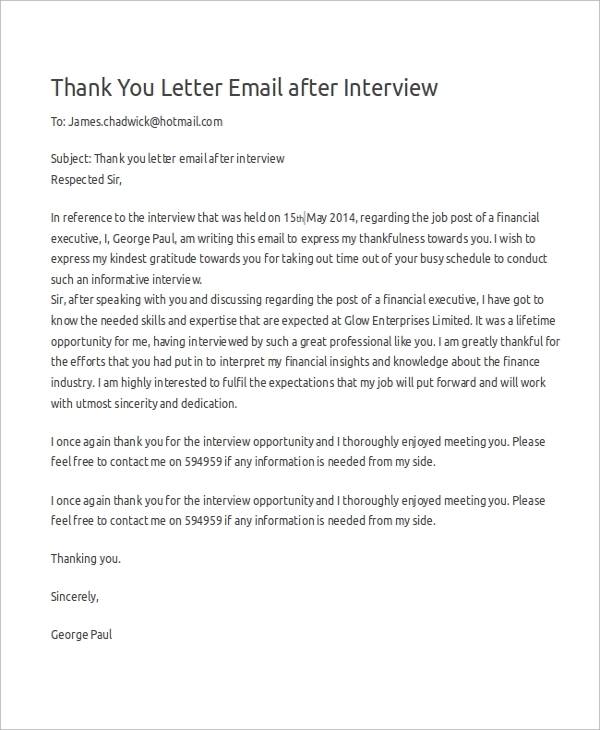 While it’s a general courtesy to send a Thank You Letter After Interview round, it is especially applicable if you have applied for a rather senior position with the company/organization. Recruiters acknowledge any communication that shows the candidate’s interests towards the job. Now, this is not just necessary for your selection but also a mandate. 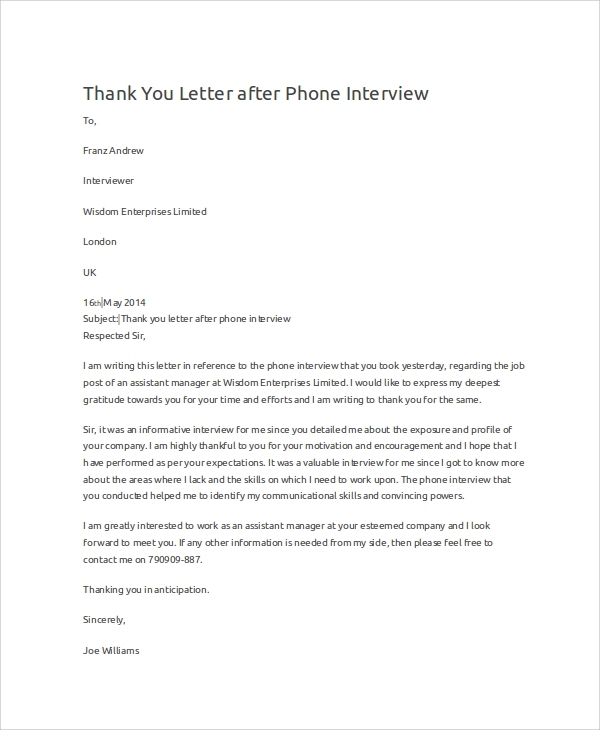 A Thank You Note/letter after a telephonic interview showcases how serious you are about the position and that you confirm your efforts as put forth in the telephonic conversation. Check this sample to get a brief idea about the content. Getting done with an interview is just half the battle won. Regardless of how the interview goes, it is helpful if you can show your gratitude for the interview and further harp upon your selection. What shouldn’t be included in a Thank You Letter After Interview? Now, this will be a critical thing deciding your candidature. Don’t include anything repetitive like your education, experiences and other things that have been taken care of by the resume. The purpose here is to show gratitude and suggesting that you will be a perfect candidate for final selection. 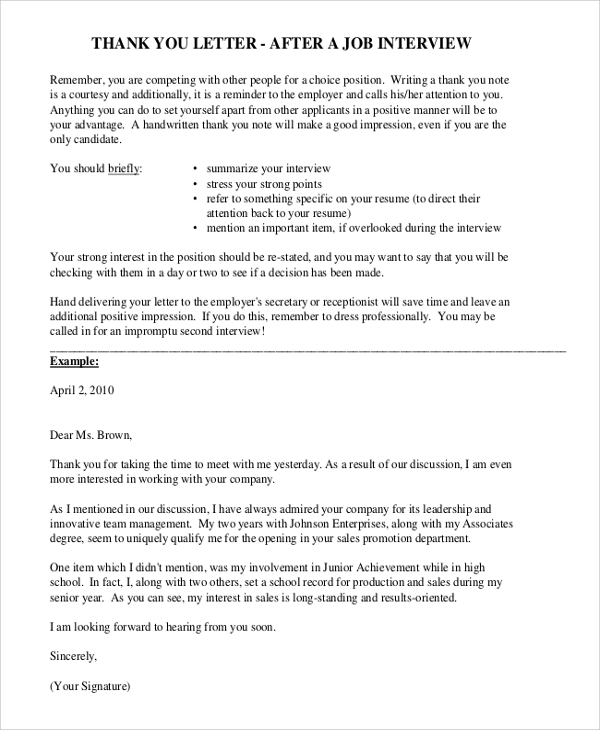 All the above Sample Business Thank You Letters have been acknowledged by recruiters and can act as good samples for your letter. All the best for your selection.